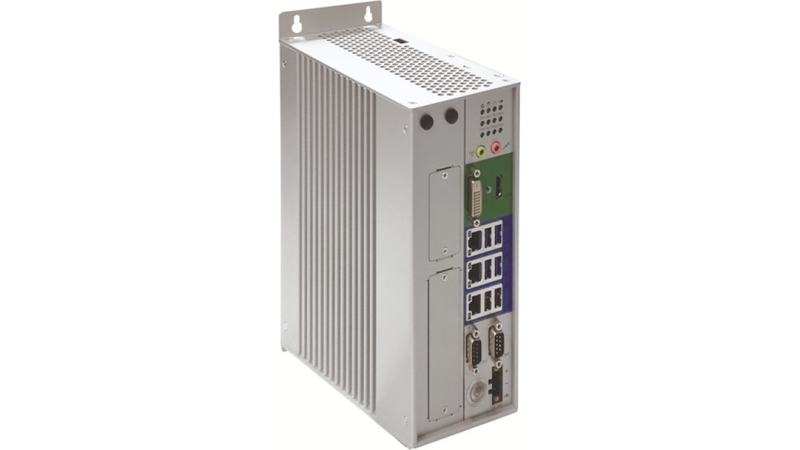 NEXCOM PC-based IoT controller solution NIFE 300 accelerates the migration of automation systems to cyber-physical systems for smart manufacturing. Boosted by Intel® Core i5-6500TE and i7-6700TE processors (formerly codenamed Skylake-S), the NIFE 300&apos;s open architecture features high interoperability to provide a unified infrastructure, communication network, and programming tool for factory floors and company offices, regaining speed, efficiency, and agility in manufacturing. The 6th generation Intel® Core processors utilizing Intel&apos;s 14nm process have integrated Intel® HD Graphics and the latest generation interfaces including DDR4 2133. NIFE300 excellent performance is suited for graphic- and compute-intensive applications such as motion control and machine vision, while the 4K2K support enables human machine interface (HMI) to show exquisite details of working pieces and 3D simulation of working processes. NIFE 300 also meets PLCopen® specifications and allows easy control programming via CODESYS Control RTE and CODESYS SoftMotion tool kit. Using libraries of reusable logic and motion functionality, control schemes can be developed with reduced programming efforts for fast deployment of SoftPLC and IoT controllers.